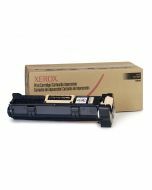 This genuine Xerox black toner cartridge is specially formulated for the CopyCentre C118/WorkCentre M118 to ensure the best print quality possible and deliver consistent and reliable results, page after page. Get peace of mind with genuine Xerox supplies and don’t settle for cheap imitations. 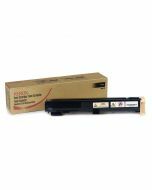 The 006R01179 toner cartridge yields approximately 11,000 pages. Get free standard shipping on all supplies. 16.2" x 3.9" x 4"